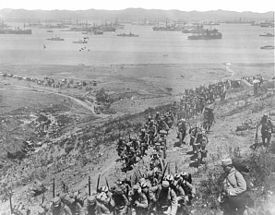 The Gallipoli Campaign, also known as the Dardanelles Campaign or the Battle of Gallipoli, took place at the peninsula of Gallipoli in the Ottoman Empire between 25 April 1915 and 9 January 1916, during the First World War. A joint British and French operation was mounted to capture the Ottoman capital of Constantinople and secure a sea route to Russia. The attempt failed, with heavy casualties on both sides. The Gallipoli campaign resonated profoundly among all nations involved. In Turkey, the battle is perceived as a defining moment in the history of the Turkish people-a final surge in the defence of the motherland as the aging Ottoman Empire was crumbling. The struggle laid the grounds for the Turkish War of Independence and the foundation of the Republic of Turkey eight years later under Mustafa Kemal Pasha (Atatx�rk), himself a commander at Gallipoli. The campaign was the first major battle undertaken by the Australian and New Zealand Army Corps (ANZAC), and is often considered to mark the birth of national consciousness in both of these countries. As Anzac Day, 25 April remains the most significant commemoration of military casualties and veterans in Australia and New Zealand, surpassing Armistice Day/Remembrance Day. The Allies were keen to open an effective supply route to Russia: efforts on the Eastern Front relieved pressure on the Western Front. Germany and Austria-Hungary blocked Russia's land trade routes to Europe, while no easy sea route existed. The White Sea in the north and the Sea of Okhotsk in the Far East were distant from the Eastern Front and often icebound. The Baltic Sea was blocked by Germany's Kaiserliche Marine. The Black Sea's only entrance was through the Bosporus, which was controlled by the Ottoman Empire. When the Ottoman Empire joined the Central Powers in October 1914, Russia could no longer be supplied from the Mediterranean Sea. By late 1914 the Western Front in France and Belgium had effectively become a stalemate. A new front was desperately needed. Also, the Allies hoped that an attack on the Ottomans would draw Bulgaria and Greece into the war on the Allied side. A first proposal to attack the Ottoman Empire had been made by the French Minister of Justice Aristide Briand in November 1914, but it was not supported. The British attempt to bribe the Ottoman Empire to join the Allied side was also not successful; their offer of �4 million was trumped by Germany's �5 million. Later in November 1914, First Lord of the Admiralty Winston Churchill put forward his first plans for a naval attack on the Dardanelles, based at least in part on what turned out to be erroneous reports regarding Ottoman troop strength. He reasoned that the Royal Navy had a large number of obsolete battleships which could not be used against the German High Seas Fleet in the North Sea, but which might well be made useful in another theater. Initially, the attack was to be made by the Royal Navy alone, with only token forces from the army being required for routine occupation tasks. On 19 February, the first attack on the Dardanelles began when a strong Anglo-French task force, including the British battleship HMS Queen Elizabeth, bombarded Ottoman artillery along the coast. Many believed victory to be inevitable. Admiral Carden sent a cable to Churchill on 4 March, stating that the fleet could expect to arrive in Istanbul within fourteen days. A sense of impending victory was heightened by the interception of a German wireless message which revealed the Ottoman Dardanelle forts were close to running out of ammunition. When the message was relayed to Carden, it was agreed a main attack would be launched on or around 17 March. It transpired that Carden, suffering from stress, was placed on the sick list by the medical officer, meaning the fleet was now placed in command of Admiral de Robeck. On 18 March the main attack was launched. The fleet, comprising 18 battleships with a supporting array of cruisers and destroyers, sought to target the narrowest point of the Dardanelles, where the straits are just a mile wide. Despite some damage sustained by ships engaging the Ottoman forts, minesweepers were ordered to proceed along the straits. According to an account by the Ottoman General Staff, by 2pm "All telephone wires were cut, all communications with the forts were interrupted, some of the guns had been knocked out... in consequence the artillery fire of the defense had slackened considerably". The French battleship Bouvet was sunk by a mine, causing it to capsize with its entire crew aboard. Minesweepers, manned by civilians and under constant fire of Ottoman shells, retreated leaving the minefields largely intact. HMS Irresistible and HMS Inflexible both sustained critical damage from mines, although there was confusion during the battle about the cause of the damage-some blamed torpedoes. HMS Ocean, sent to rescue the Irresistible, was itself struck by an explosion and both ships eventually sank. The French battleships Suffren and Gaulois were also sunk. All the ships had sailed through a new line of mines placed secretly by the Ottoman minelayer Nusret 10 days before. The losses prompted the Allies to cease any further attempts to force the straits by naval power alone. Losses had been anticipated during the planning of the campaign, so mainly obsolete battleships had been sent which were unfit to face the German fleet. However, many naval officers-including de Robeck and Fisher-did not consider the losses acceptable. The defeat of the British fleet had also given the Ottomans a morale boost, although their gunners had almost run out of ammunition before the British fleet retreated. The reasons for the decision to turn back are unclear. The delay in landings by the British allowed Ottoman officers to prepare defenses. Von Sanders notes "The British allowed us four good weeks of respite for all this work before their great disembarkation... This respite just sufficed for the most indispensable measures to be taken." Roads were constructed, small boats assembled to carry troops and equipment across the narrows, beaches were wired and makeshift mines constructed from torpedo-heads. Trenches and gun emplacements were dug along the beaches, while troops were regularly taken on long marches to avoid lethargy. Mustafa Kemal, whose Nineteenth Division would become pivotal in the battle, observed the beaches and awaited signs of an invasion from his post at Boghali, near Maidos. Picture - Landing of French troops on Lemnos island, 1915. 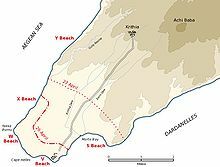 The invasion plan of 25 April 1915 was for the 29th Division to land at Helles on the tip of the peninsula and then advance upon the forts at Kilitbahir. The Anzacs were to land north of Gaba Tepe on the Aegean coast, from where they could advance across the peninsula, cutting off retreat from or reinforcement of Kilitbahir. The small cove in and around which they landed became known as Anzac Cove. 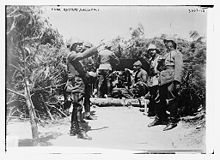 This sector of the Gallipoli Peninsula became known as 'Anzac'; the area held by the British and French became known as the 'Helles sector' or simply 'Helles'. The French made a diversionary landing at Kum Kale on the Asian shore before re-embarking to hold the eastern area of the Helles sector. There was also a diversion by the Royal Naval Division, including a one-man diversion by Bernard Freyberg at Bulair, for which he was awarded the DSO. Later he became a Lieutenant-General during World War II, and went on to win the VC. Picture - Cape Helles landing beaches. The commander of the Y Beach landing was able to walk unopposed to within 550 yards (500 metres) of Krithia village, which was deserted. The British never got so close again. Y Beach was evacuated the following day as Ottoman reinforcements arrived. The main landings were made at V Beach, beneath the old Seddx�lbahir fortress, and at W Beach, a short distance to the west on the other side of the Helles headland. 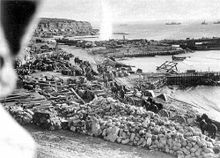 At Cape Helles V Beach the covering force from the Royal Munster Fusiliers and Royal Hampshires was landed from a converted collier, SS River Clyde, which was run aground beneath the fortress so that the troops could disembark directly via ramps to the shore. The Royal Dublin Fusiliers would land at V Beach from open boats. At W Beach the Lancashire Fusiliers also landed in open boats on a small beach overlooked by dunes and obstructed with barbed wire. On both beaches the Ottoman defenders were in a position to inflict appalling casualties on the landing infantry. The troops emerging one by one from the sally ports on the River Clyde presented perfect targets to the machine guns in the Seddx�lbahir fort. Out of the first 200 soldiers to disembark, only 21 men made it onto the beach. I do not expect you to attack, I order you to die. In the time which passes until we die, other troops and commanders can come forward and take our places. Every man of the Ottoman 57th Infantry Regiment was killed in action and, as a sign of respect, there is no 57th Regiment in the modern Turkish army. 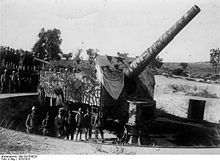 Picture - French Colonial 75 mm artillery gun in action near Sedd el Bahr at Cape Helles, Gallipoli during the Third Battle of Krithia, 4 June 1915. At W Beach, thereafter known as Lancashire Landing, the Lancashires were able to overwhelm the defences despite their dreadful losses - 600 killed or wounded, out of a total strength of 1,000. 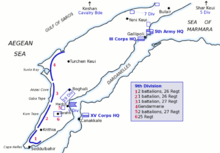 The battalions which landed at V Beach suffered about 70% casualties. Six awards of the Victoria Cross were made among the Lancashires at W Beach. A further six Victoria Crosses were awarded among the infantry and sailors at the V Beach landing, and three more were awarded the following day as they finally fought their way off the beach. During the fighting in this sector, five squads of infantry led by Sergeant Yahya particularly distinguished themselves. The Ottoman platoon beat back several determined attacks on their hilltop position, the defiant defenders eventually disengaging under cover of darkness. After the landings, so few remained from the Dublin Fusiliers and Munster Fusiliers that they were amalgamated into one unit, "The Dubsters". Only one Dubliner officer survived the landing; overall, of the 1,012 Dubliners who landed, only 11 would survive the entire Gallipoli campaign unscathed. On 28 April, the British, now supported by the French on the right of the line, intended to capture Krithia in what became known as the First Battle of Krithia. The plan of attack was overly complex and poorly communicated to the commanders in the field. The troops of the 29th Division were still exhausted and unnerved by the battle for the beaches and for Seddx�lbahir village, captured after heavy fighting on 26 April. The attack ground to a halt around 6 pm with a gain of some ground but the objective of Krithia village was not reached. After the battle, the Allied trenches lay about halfway between the Helles headland and Krithia village. With Ottoman opposition stiffening by the day, the opportunity for the anticipated swift victory on the peninsula was disappearing. Helles, like Anzac, became a siege. Strong Ottoman counter-attacks on the nights of 1 May and 3 May were repulsed despite breaking through the French defences. The first attempt at an offensive at Anzac took place on the evening of 2 May when New Zealand and Australian Division commander, General Godley, ordered the Australian 4th Infantry Brigade, commanded by General John Monash, and the New Zealand Infantry Brigade, to attack from Russell's Top and Quinn's Post towards Baby 700. The troops advanced a short distance during the night and tried to dig in to hold their gains, but were forced to retreat by the night of 3 May, having suffered about 1,000 casualties. The Ottomans launched a major assault at Anzac on 19 May-42,000 Ottomans attacked 17,000 Australians and New Zealanders-but the attack miscarried. Lacking sufficient artillery and ammunition, the Ottomans relied on surprise and weight of numbers for success but their preparations were detected and the defenders were ready. When it was over the Ottomans had suffered about 13,000 casualties, of which 3,000 were killed. In comparison, the Australian casualties were 160 killed and 468 wounded. The Ottoman losses were so severe that a truce was organized by Aubrey Herbert and others on 24 May in order to bury the large numbers of dead lying in no man's land. This momentary contact led to a strange camaraderie between the armies much like the Christmas truce of 1914. It was not repeated formally. In May the British naval artillery advantage was diminished following the torpedoing of the battleship HMS Goliath on 13 May by the Ottoman destroyer Muavenet-i Milliye. Shortly after German submarine SM U-21 sank HMS Triumph on 25 May and HMS Majestic on 27 May. Following these losses much of the battleship support was withdrawn and those remaining would fire while under way, reducing their accuracy and effectiveness. The Ottoman forces in the meantime found themselves in an unenviable position, with not enough artillery ammunition stocks to allow them to soften the Allied defenders thoroughly prior to launching counterattacks aimed at breaking their defenses. 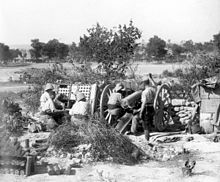 Ottoman field batteries were only able to fire approximately 18,000 artillery rounds between early May and first week of June. In June, a fresh division, the 52nd Division, began to land at Helles in time to participate in the last of the major Helles battles, the Battle of Gully Ravine which was launched on 28 June. This battle advanced the British line along the left (Aegean) flank of the battlefield which resulted in a rare but limited victory for the Allies. However, Major-General Liman von Sanders has asserted that the British attack was repelled. He credited the successful defence to two Ottoman officers, Faik Pasa and Albay Refet. Between 1 July and 5 July the Ottomans launched a series of desperate counter-attacks against the new British line but failed to regain the lost ground. Their casualties for the period were horrendous, estimated to be in excess of 14,000. The landing at Suvla Bay was only lightly opposed but the British commander, Lieutenant-General Sir Frederick Stopford, had so diluted his early objectives that little more than the beach was seized. Once again the Ottomans were able to win the race for the high ground of the Anafarta Hills thereby rendering the Suvla front another case of static trench warfare. The force striking for the nearer peak of Chunuk Bair comprised the New Zealand Infantry Brigade. It came within 500 metres of the peak by dawn on 7 August but was not able to seize the summit until the following morning. This delay had fatal consequences for another supporting attack on the morning of 7 August; that of the Australian 3rd Light Horse Brigade at the Nek which was to coincide with the New Zealanders attacking back down from Chunuk Bair against the rear of the Ottoman defences. The New Zealanders held out on Chunuk Bair for two days before relief was provided by two New Army battalions from the Wiltshire and Loyal North Lancashire Regiments. A massive Ottoman counter-attack, led in person by Mustafa Kemal, swept these two battalions from the heights. Following the failure of the August Offensive, the Gallipoli campaign entered a hiatus while the future direction was debated. The persistent lack of progress was finally making an impression in the United Kingdom, with contrasting news of the true nature of the campaign being smuggled out by journalists like Keith Murdoch and Ellis Ashmead-Bartlett, so discrediting Hamilton's performance. Disaffected senior officers such as General Stopford also contributed to the general air of gloom. The prospect of evacuation was raised on 11 October 1915 but Hamilton resisted the suggestion, fearing the damage to British prestige. He was dismissed as commander shortly afterwards and replaced by Lieutenant-General Sir Charles Monro. Evacuation of 14 divisions in winter in proximity to the enemy would be difficult and heavy losses were expected. The untenable nature of the Allied position was made apparent when a heavy rain-storm struck on 27 November 1915 and lasted for three days, followed by a blizzard at Suvla in early December. The rain flooded trenches, drowning soldiers and washing unburied corpses into the lines. The following snow killed yet more men from exposure. The Ottoman victory over the Allies at Gallipoli renewed Turkey's visions for the empire. In Mesopotamia the Turks surrounded a British expedition at Kut Al Amara, forcing their surrender in 1916. Ottoman reserves from southern Ottoman Syria were poised for deployment into the Sinai with the aim of capturing the Suez Canal, and driving the British from Egypt. However, the defeat at the Battle of Romani and lack of materials to complete the military railway necessary for such an operation marked the end of that ambition., and for the remainder of the war the British were on the offensive in the Middle East. After the evacuation, Allied troops reformed and regrouped in Egypt. The Anzacs underwent a major reorganization; the infantry battalions were increased and transferred to the Western Front, the light horse were reunited with their horses and formed into mounted divisions for operations in the Sinai and Palestine. At the Battle of Beersheba they would finally achieve the decisive break-through victory that had eluded the Allies at Gallipoli. Amongst the generals, Gallipoli marked the end for Hamilton and Stopford, but Hunter-Weston was granted another opportunity to lead the VIII Corps on the first day of the Battle of the Somme. The competence of Australian brigade commanders, John Monash and Henry Chauvel, would be recognized with promotion to the command of divisions and ultimately corps. Lord Kitchener was too popular to be punished, but he never recovered his old reputation for invincibility, and was increasingly sidelined by his colleagues until his death the following year. On the Ottoman side, the meteoric rise of Mustafa Kemal (Atatx�rk) began at Gallipoli. Some people, such as Winston Churchill, have also argued that the landings may have helped accelerate the genocide of the Armenian population in the Ottoman Empire during 1915. The conditions at Gallipoli, on both sides, were notorious. In the summer, the heat was atrocious, and in conjunction with bad sanitation, led to so many flies that eating became extremely difficult. Corpses, left in the open, became bloated and stank. The precarious Allied bases were poorly situated and caused supply and shelter problems. A dysentery epidemic spread through the Allied trenches in both Anzac and Helles. Autumn and winter brought relief from the heat, but also led to gales, flooding and frostbite. By the time the Gallipoli Campaign ended, over 120,000 men had died. More than 80,000 Turkish soldiers and 44,000 British and French soldiers, including over 8,500 Australians. Among the dead were 2,721 New Zealanders, about a quarter of those who had landed on the peninsula. The Commonwealth War Graves Commission (CWGC) is responsible for developing and maintaining permanent cemeteries for all Commonwealth forces-United Kingdom, Australia, New Zealand, India, Newfoundland and others. There are 31 CWGC cemeteries on the Gallipoli peninsula: six at Helles (plus the only solitary grave), four at Suvla and 21 at Anzac. For many of those killed, and those who died on hospital ships and were buried at sea, there is no known grave. These men's names are each recorded on one of five "memorials to the missing"; the Lone Pine Memorial commemorates Australians killed in the Anzac sector, as well as New Zealanders with no known grave or who were buried at sea; whilst the Lone Pine, Hill 60, and Chunuk Bair Memorials commemorate New Zealanders killed at Anzac. The Twelve Tree Copse Memorial commemorates the New Zealanders killed in the Helles sector, and British and other troops (including Indian and Australian) who died in the Helles sector are commemorated on the memorial at Cape Helles. British naval casualties who were lost at sea, or buried at sea, are not recorded on these memorials, instead they are listed on memorials in the United Kingdom. 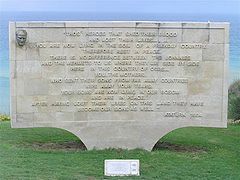 There are no large Turkish military cemeteries on the peninsula, but there are numerous memorials, the main ones being the x�anakkale Martyrs' Memorial at Morto Bay, Cape Helles (near S Beach), the Turkish Soldier's Memorial on Chunuk Bair and the memorial and open-air mosque for the 57th Regiment near Quinn's Post (Bomba Sirt). There are a number of Turkish memorials and cemeteries on the Asian shore of the Dardanelles, demonstrating the greater emphasis Turkish history places on the victory of March 18 over the subsequent fighting on the peninsula. The significance of the Gallipoli Campaign is felt strongly in both New Zealand and Australia. In Australia the campaign represents the first great international conflict experienced by that nation. Before Gallipoli the citizens of Australia were confident of the superiority of the British Empire and were proud and eager to offer their service. Gallipoli shook that confidence, and the next three years on the Western Front would damage it further. 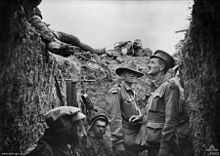 The ANZACs are revered as heroes, and the popular phrase 'digger' used to describe soldiers at Gallipoli has come to describe all members of the Australian armed forces, particularly members of the Army. Popular Australian history asserts that while the Federation of Australia was born in 1901, the country's true psychological independence was only achieved at Gallipoli. In Turkey the battle, known after the port of x�anakkale where the Royal Navy was repulsed in March 1915, became part of the heroic story of the nation's revered founder, Mustafa Kemal. "x�anakkale gex�ilmez" (x�anakkale is impassable) became a common phrase to express the nation's pride at stopping the massive assault. "x�anakkale ix�inde" is a famous and still very popular country song (tūrkū) commemorating the Turkish youth fallen there. The victory at x�anakkale did more than any other event or person in creating Turkish nationalism. The film Gallipoli (1981) featuring Mel Gibson described the experiences of two Australian sprinters who volunteered and fought at Gallipoli but gave a fairly misleading impression of the roles of the British Armed Forces. All the King's Men, a 1999 BBC film depicts the campaign. Specifically the loss of the Sandringham company in 1915. In 2008, the Swedish power metal/heavy metal band Sabaton released a song titled Cliffs of Gallipoli from their album Art of War in reference to the campaign. 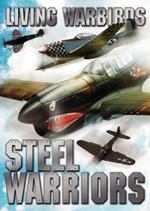 In 2004, Louis de Bernix�res published Birds Without Wings, a novel covering Gallipoli from the Turkish point of view. PJ Harvey's 2011 album Let England Shake makes several references to the Gallipoli campaign including Bolton's Ridge and Battleship Hill. Carlyon, Les (2001). Gallipoli. Doubleday / Pan Macmillan divisions of Random house. 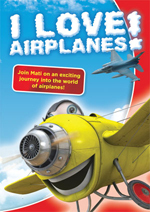 ISBN 0385 604750. Cowan, James (1926). The Maoris in the Great War (including Gallipoli). http://www.nzetc.org/tm/scholarly/tei-CowMaor.html. Erickson, Edward J. (2001) . Ordered to die: a history of the Ottoman army in the First World War. Westport, CT: Greenwood Publishing. 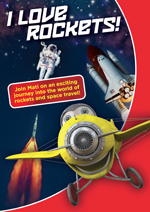 ISBN 0313315167. Gilbert, Martin (2004). The First World War: a complete history. New York: Henry Holt and Co.. ISBN 0-8050-7617-4. Haythornthwaite, Philip J. (1991). Gallipoli 1915, Frontal Assault on Turkey. Campaign Series #8. Osprey. James, Robert Rhodes (1995) . Gallipoli: a British historian's view. Parkville, Vic. : Dept. of History, University of Melbourne. 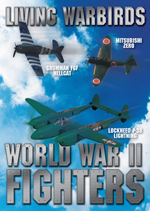 ISBN 0-7325-1219-0. Moorehead, Alan (2002) . Gallipoli. New York: Perennial Classics. ISBN 0-06-093708-4. Tyquin, M. (1993). Gallipoli: the Medical War. Sydney: University of New South Wales Press. Strachan, Hew (2004). The First World War. Viking. Waite, Colonel Fred (1919). The New Zealanders at Gallipoli. http://www.nzetc.org/tm/scholarly/tei-WaiNewZ.html. "Gallipoli". Despatches from Gallipoli website. National Library of Australia. http://www.nla.gov.au/gallipolidespatches/1-gallipoli.html. Broadbent, Harvey (2005), "Gallipoli, The Fatal Shore", Viking/Penguin, Camberwell,Australia,ISBN 0 670 04085 1.